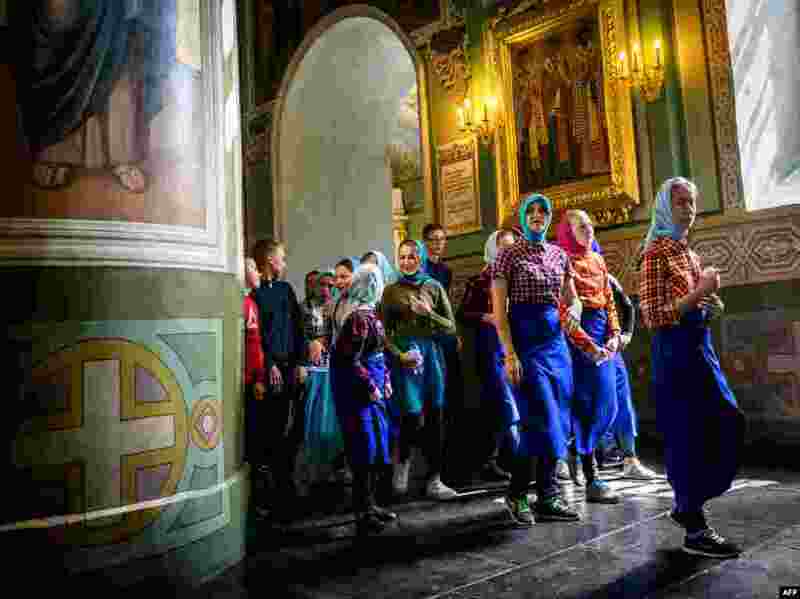 ١ A group of school children visits a church in the Kremlin in the Russian city of Kazan. ٢ U.S. 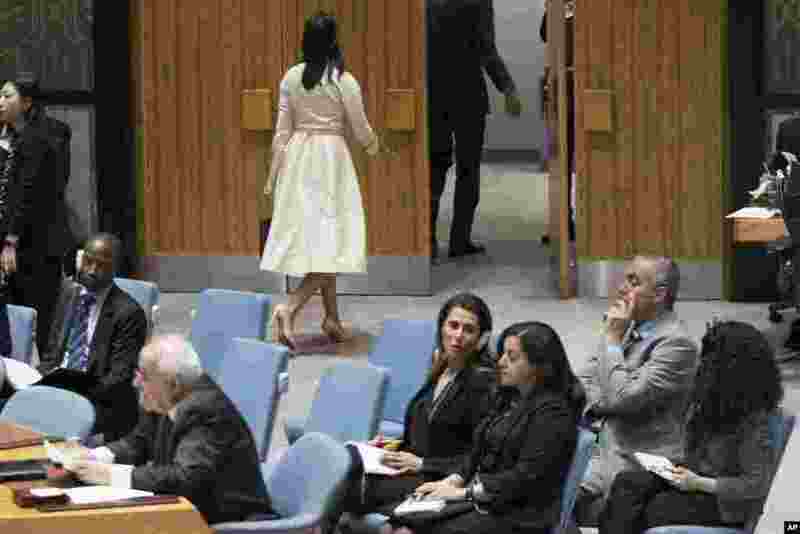 Ambassador to the United Nations Nikki Haley, top center, leaves the room as Palestinian Ambassador to the United Nations Riyad Mansour, right, prepares to address a Security Council meeting on the situation in Gaza, at United Nations headquarters in New York. 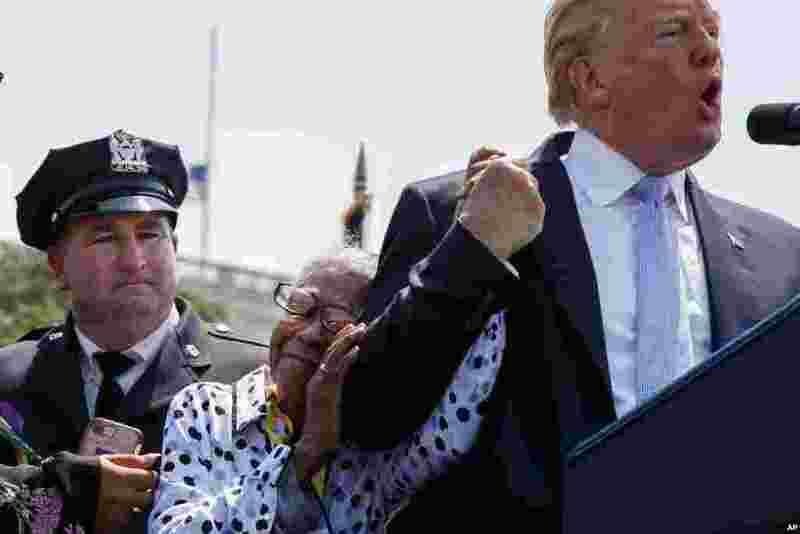 ٣ Adrianna Valoy, mother of slain New York Police Detective Milsotis Familia, hugs President Donald Trump as he speaks during the 37th annual National Peace Officers Memorial Service on Capitol Hill in Washington. 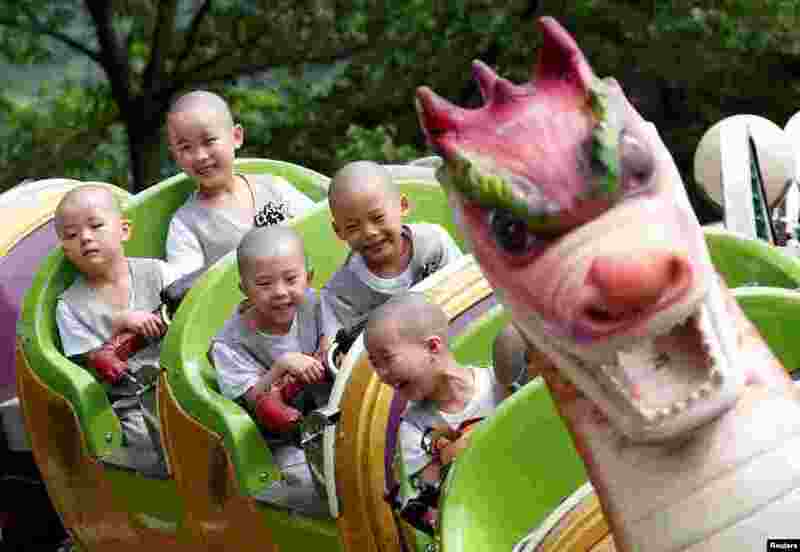 ٤ Novice monks enjoy a ride at the Everland amusement park in Yongin, South Korea.